Already 5 days in Bangalore, India and time to give an update on what has been done and what’s left to finalize. I have indeed been silent the past 2-3 months preparing the GNOME.Asia Summit and working on Software Freedom Day to get up to speed for 2011. So I am at my first GNOME hackfest and from what I have been told, one of the biggest ever. In total we have about 16 people working on the GNOME 3.0 release, from making sure we catch all the critical bugs, to fixing them, writing documentation (I’ve just been assigned to write some missing sections – that will be my first contribution to the GNOME code base) and preparing the associated marketing campaign (which has already started of course). On top of those major tasks we are also providing training to the students of Bangalore (2 days totalling 200 seats), organizing a business session with case studies to explain to local companies how others make money with GNOME and Free Software, running a helpdesk to support people curious about GNOME 3.0 and, making sure that all the necessary tasks for the GNOME.Asia Summit have been completed. I have to send a huge thank you to Bharath for his devotion and support everyday and all the sponsors who have made this great event possible. It is a real pleasure to see so many people supporting us and we can definitely feel the pressure not to disappoint anyone. On the bright side we have reached 1400 registrations for the summit and I doubt anything could stop the success of what we’ve been working on for the past 6 months. India even got qualified for the cricket world finals, which has only happened twice since 1975 (2003 best runner up, 1983 winner). So obviously everything is on our side and the 3.0 release should be a magnificent one. 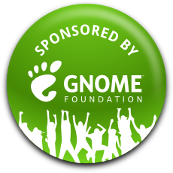 Last but not least I want to thank the GNOME Foundation for its support and allowing me to join the hackfest and the conference. As some of you know, both Pockey and I were at the GNOME.Asia Summit in Ho Chi Minh City this month. A lot of things happened and I will have to get back to this later. I just wanted to thank Lemote and more specifically Zhang Fuxin for his continuous support to the Beijing LUG and Open Source. On top of taking part in Software Freedom Day this year and using this opportunity to announce their new all-in-one desktop computer they have also agreed to sponsor the GNOME.Asia Summit with two Yeeloong laptop that were used for short Linux courses during the conference and that will be then donated to the computer lab in Ho Chi Minh City to be used as hacking devices. We all hope to see a lot of Vietnamese Open Source Software be ported to MIPS and more participation to our growing Loongson communities. And for those who can read Chinese you’ll be happy to know that Lemote has just launched a new Chinese version of their website! 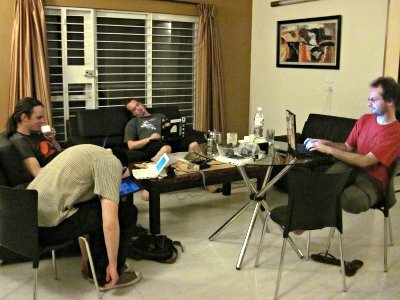 We are soliciting proposals for hosting GNOME.Asia 2009. The GNOME.Asia Summit is planned to be an annual GNOME event hosted in Asia. We started the GNOME.Asia Summit in 2008 and we want to continue this tradition and spread GNOME throughout the Asian region. The Summit has an active committee to assist the local coordinators, but there is a definitive need for individuals actively involved and committed to the planning and execution of the Summit. 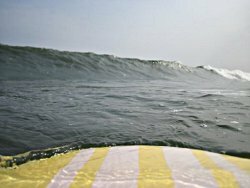 There are challenges to work through but the process can be a very rewarding and a lot of fun. GNOME.Asia is much like a tiny seed we want to grow into a tree in Asia. We are looking for local organizers in any Asian country with the desire to take on and succeed in the challenges of organizing an excellent GNOME event. For those of you who interested in hosting the next GNOME.Asia Summit in 2009 you are hereby invited to write a formal proposal to the GNOME.Asia Committee list at asia-summit-list [at] gnome.org regarding your ideas for this year Asian GNOME event! The deadline for submitting the proposal is 15th, June, 2009.